Kampala, Uganda. May 2016. Sometimes you have to smile to stand out in a crowd. 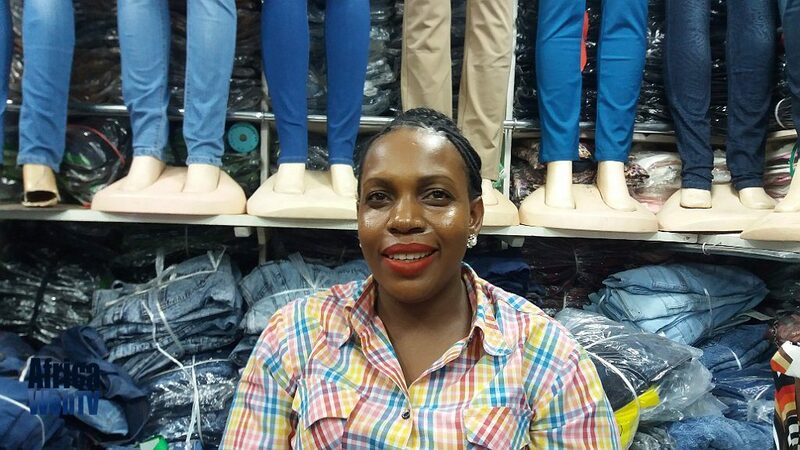 Meet Josephine; seller of ladies clothes at the Nana shopping centre in downtown Kampala. In a mall full of bored looking, sulking sellers, Josephine was the only one who wore a bright smile. Could it be that it is because she is one of the few who have travelled outside of Uganda to Europe and Asia and met other people as she told us? Could it be that she is just a smart lady who realises you have to be welcoming to your customers to make them feel at ease? Could it be she wears a smile because it comes naturally with a good heart? Whatever the case, hers was the only store in a more than a thousand we were comfortable spending considerable money at. She made us feel at ease and comfortable. And while we were there, others came and spent money too. Josephine is one smart friendly lady. No wonder she is smiling all the way to the bank!